This is a confounding but worthwhile picture. It tries to be many things. A heist caper. A feminist tract. A racial observance. A cynical statement on corruption. A twist flick. It fails to be complete in any of these pursuits, but that doesn’t make it unenjoyable, just vexing. Steve McQueen (Shame, Twelve Years of Slave) brings his meditative touch to Chicago, where the widows of a group of professional criminals (think the gang in Heat; in fact, the widows pick up a driver on the fly just like in that flick) must pick up where their flawed husbands have left off. Their pursuit is intertwined with romantic, political, and familial entanglements. There’s a lot here, but eventually, the film falters because it takes on way too much. This is a mini-series sized saga, and given how well McQueen does with various scenes, you’re eventually frustrated at the truncated resolutions. Still, the performances are stellar. In particular, Viola Davis, even saddled with an ever-present and ridiculous West Highland White Terrier, is penetrating, and as villains go, Daniel Kaluuya (Get Out) is a top ten. 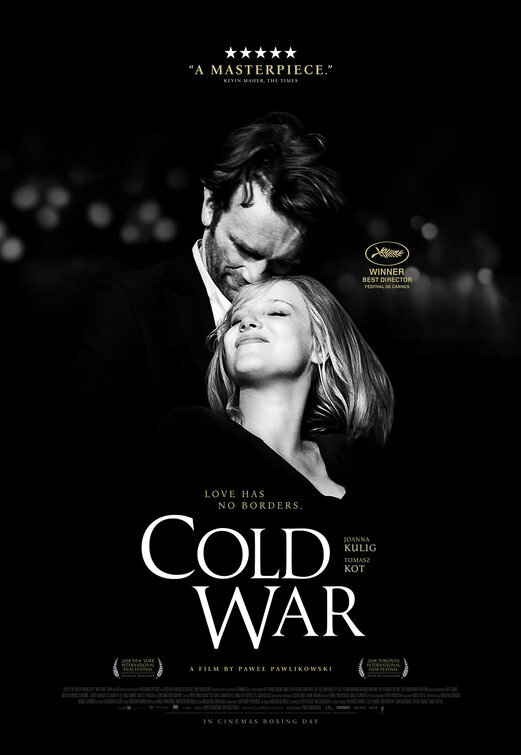 In post-WWII Poland, a pianist and an ingénue he has selected for the national cultural ensemble fall in love. He escapes through Berlin on a concert tour, but she is hesitant, and they are separated. They see each other every few years, and eventually, they are reunited in Paris, free. But they cannot make a go of it, she retreats back to Poland, and in what is supposed to be a grand gesture of everlasting devotion, he admits his sin against the state, returns to his native country and does 15 years hard labor, which, coupled with torture, destroys his fingers. I suppose this was supposed to connect as a moody, timeless, passionate yet doomed romance. But the two leads, who alternately smolder and pout, are so childish and impetuous, it’s hard to gin up much sympathy. Indeed, when she makes it to Paris, they bicker like children, she constantly kvetching about his prior lover and Western ambition, he inexplicably distant (in fact, he often looks as if he knows he made a very big mistake in working so hard to be with her but can’t bring himself to admit it). Neither character acts in a manner showing any deference to their good fortune. These aren’t lovers separated by culture or prior marriages or obligation, but rather, an iron curtain where, to be on the wrong side of it, you lose your freedom and you can get your delicate pianist fingers mangled by 15 years of forced labor and torture. And they surmount that curtain! So, when they chuck it for seemingly pedestrian reasons, and he insists on his grotesque punishment, you don’t care. Well, maybe you will. The movie is very well regarded. But I didn’t. On the plus side, the movie is beautifully shot and blessedly short at under an hour-and-a-half. Nominated for Best Director, Best Foreign Film and Best Cinematography and available on Amazon. But this story of a WWII paratroop unit dropping behind enemy lines only to find that the Nazis are – can you believe it? – engaged in medical experimentation to create an uber soldier is competent with a fun B movie feel. And occasionally, it is even a little scary. Entirely worth the $1.87 Redbox rental. One other positive note. The lead and the tough guy sergeant are African-American, which, given that integration of the troops didn’t occur until after the war, is an anomaly. However, since race has absolutely nothing to do with this middling popcorn flick, it’s a welcome development. Sure, there are no black Nazis, but all in good time. One of the few movies I can recommend you see IN the theater. I didn’t hear a murmur. Not one popcorn chomp, not one whisper. We did, however, all scream at the right places. 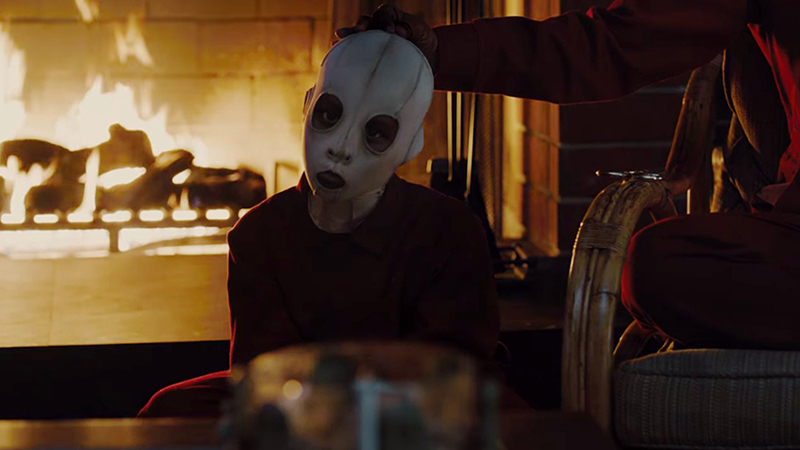 A fun, terrifying roller coaster ride meant to be enjoyed communally, Jordan Peele’s second film ain’t deep, but it is accomplished, devastatingly funny and thoroughly engrossing. I can’t speak much to the plot, as it would just give it away, so I’ll leave it at the following. The film is spine-tingling, brilliantly scored, and Peele never makes a wrong step. His ken for arresting and creepy imagery is stunning, the script is clever, and the twists are well-founded and earned. Afterwards, you will find that it does not hold up to logical scrutiny yet that failure doesn’t make a damn bit of difference to your enjoyment of the picture.